1,2Oguzie Judith, 1,2Ajogbasile Fehintola, 1,2Uwanibe Jessica, 1Eromon Philomena, 1,2Onikepe Folarin, 1,2Christian Happi*. Plasmodium falciparum, the most dangerous malaria parasite species to humans remains an important public health concern in Nigeria. It is highly endemic and remains stable despite the implementation of various malaria control measures. 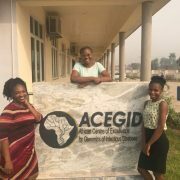 Understanding P. falciparum population structure variations across the country could provide new insights to guide malaria control programs. 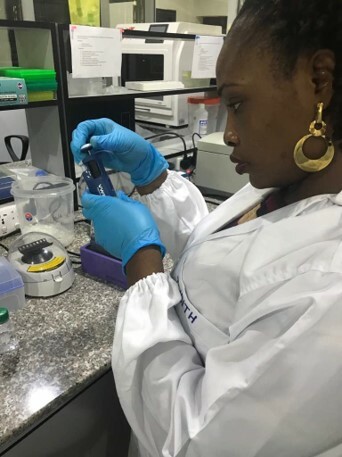 In addition, determination of antigenic clonal profiles of P. falciparum in Nigeria will serve as a veritable evidence towards provision of defensive malaria vaccines soon. 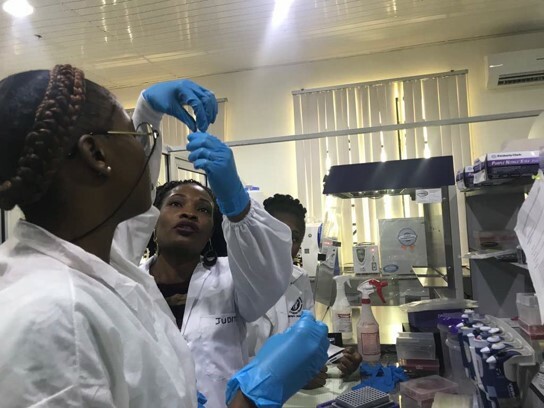 This study was aimed to evaluate the genetic diversity of P. falciparum using Merozoite Surface Protein (MSP-2) antigenic marker from the samples obtained from children with acute uncomplicated malaria and treated with Artemether-Lumefantrine (AL) in Nigeria. Dried bloodspot samples (DBS) were collected from children age 59 months and below, with microscopically confirmed P. falciparum infections. Parasite genomic DNA was isolated using DNA extraction kit. 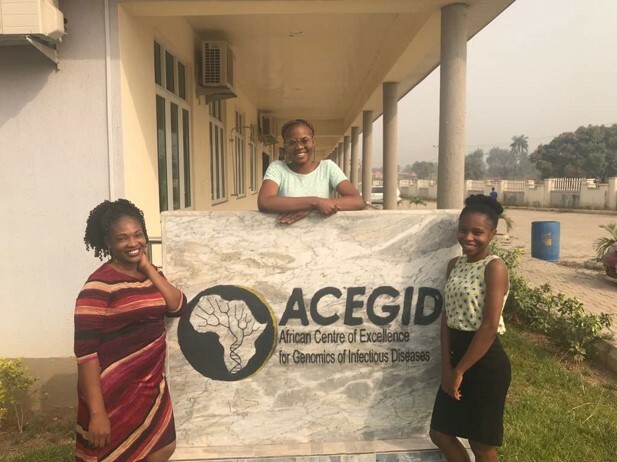 Genetic diversity of P. falciparum isolates was analyzed by targeting amplification of polymorphic loci of allelic specific families of MSP-2 by nested PCR using the conventional thermocyclers routinely used in the African Center of excellence for Genomics of infectious Diseases (ACEGID), Redeemer’s University Ede, Osun State Nigeria and the MiniPCR. Results of the study showed that the population structure of P. falciparum isolates analyzed with this marker displayed extensive diversity and complexity. Conversely, the miniPCR gave similar result as that of the conventional PCR machines using DBS. 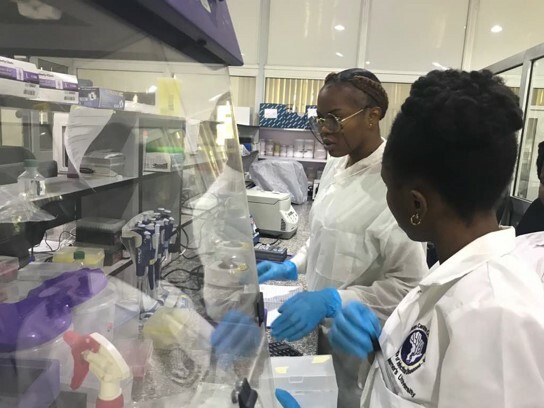 It therefore can be deployed to the rural communities where malaria is highly endemic during outbreaks for diagnostic analysis. 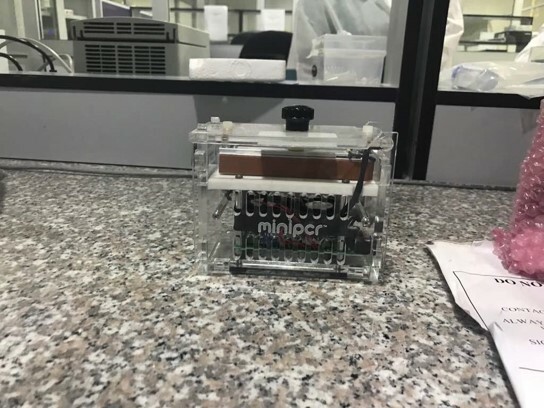 Also, it can be used in areas of no power supply which is usually a challenge in Nigeria, with the aid of a power pack that can supply power to the machine. More so, it can be used as a point of care diagnosis of other infectious diseases such as Lassa fever which is also endemic in Nigeria and can help to discover other etiologies of fever of unknown origin. Figure 1: Results showing amplicons of similar sizes from the three PCR machines used. L– 100bp Ladder. 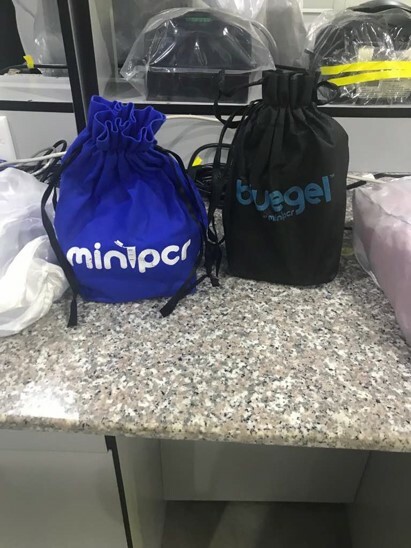 Known positive samples: F005:1 miniPCR, 2 LightCycler, 3 MJ PCR JU037: 4 miniPCR, 5 LightCycler, 6 MJ PCR. JU098: 7 miniPCR, 8 LightCycler, 9 MJ PCR. F103:10 miniPCR, 11 LightCycler, 12 MJ PCR. F130: 13 miniPCR, 14 LightCycler, 15 MJ PCR. JU082: 16 miniPCR, 17 LightCycler, 18 MJ PCR. 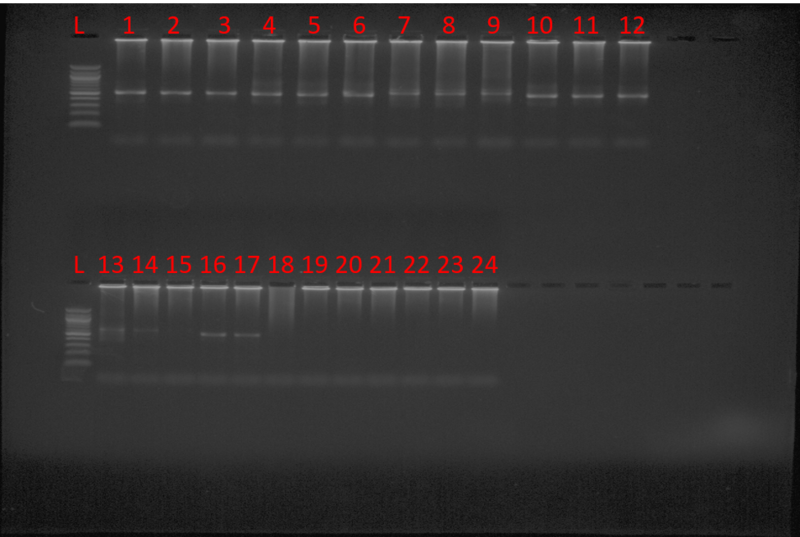 Known Negative sample: JU085: 19 miniPCR, 20 LightCycler, 21 MJ PCR, Blank, 22 miniPCR, 23 LightCycler, 24 MJ PCR.